Calling all readers who have shopped at Ross with an item price tag that included a “Compare At” price in the past! If you’ve made at least ONE qualifying purchase in the USA since June 20, 2011, you may qualify for free check! This settlement is about how Ross used false and deceptive advertising “Compare At” prices. No proof of purchase is required but please do not fill out the form if you haven’t shopped there! Go here for more details and to file a claim! Keep in mind, this may take months or years to payout. Spread the word! I have spend thousands of dollars at Ross. I have shopped there many many times. I have shopped there many times since 1993 or 94. 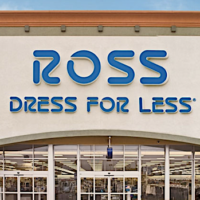 My wife and me always shop at Ross stores. We love the merchandise and sales. Very said we were decieved on many items.